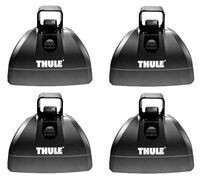 Thule Podium Tower Roof Rack Feet set of 4 , Truck & Car Racks from Proline: Thule Racks, Yakima Ski Racks, Bike Racks Canoe and Kayak Racks Cargo Carriers and Truck accessories. Thule 460 Podium roof rack foot pack. Set of (4) four feet.